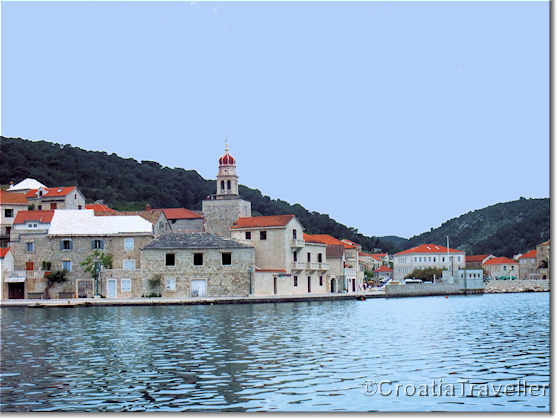 This small town on the northern coast of Brac is a regional center for quarrying and cutting stone. There are three large quarries just outside Pucisca which extract the lustrous Brac stone that has been used throughout Croatia and the world. In addition to Diocletian's Palace in Split and the White House in Washington DC, the stone has been used in Dubrovnik, Venice and other places. The stonemason school here has been renowned for its artistry for over a century, accepting candidates each year for intensive courses that train them for fine stonework. It is the only one of its kind in Europe. The school is open for visits during school hours which means weekday mornings from September to May. 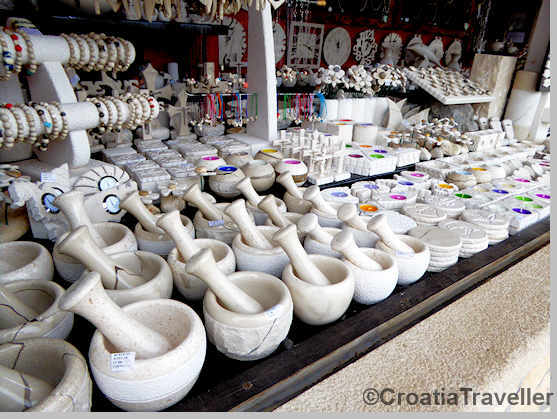 At all times, it's easy to buy items large and small carved from Brac stone whether in shops or informal stalls in the town center. They can make unusual if heavy souvenirs. Because of the stone school Pucisca evolved into a cultural center as well. A summer music school (www.music-school-pucisca.com) opens each July and attracts local and international musicians as teachers and students. As well as a series of workshops, there are also concerts where the streets resound with the sound of music. Pucisca has been inhabited since the Roman era. Historical remnants include defensive forts built to repel a Turkish invasion and renaissance buildings along the water front. Note especially the renaissance palace next to the Ciprijan Žuvetić fort and the parish church of St Jerome with an outstanding carved wooden altar that is one of the best of its kind in Dalmatia. Pucisca is also home to what may be the island's best hotel, the Deskovic Palace. Housed in an actual 15th-century palace that's registered as a cultural monument, this small four-star hotel is class all the way. There's also a smattering of rooms and apartments to rent.